Whether you’re a student heading back to school or not, you can take inspiration from the back-to-school trends and pick out some great new glasses for Fall – 7 Geek-Chic Specs That Will Put You Ahead of the Curve. Need some hippie in your life? Check out these fabulous and stylish ways to style this perfect boho chic piece for Fall 2012 – Street Style: Dsquared2 Gilet Vest. Getting ready to give up your Summer duds for new Fall 2012 pieces? See what Style.com has to say about what you’ll be living in this Fall and Winter – Fall 2012 Shopping Guide. 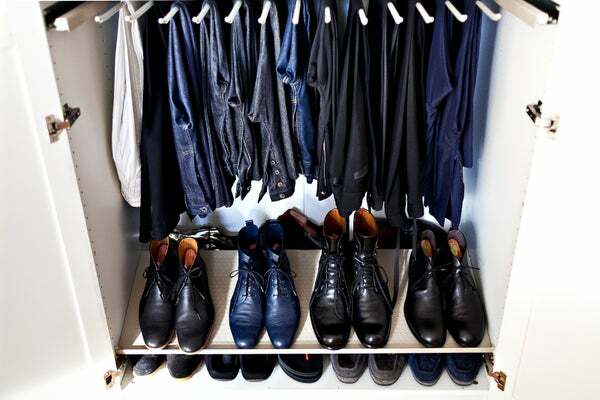 This is a really great editorial with some fabulous pictures, showing you boys that you should step it up like hockey player Sean Avery on the fashion and design front – Refinery 29’s Inside Sean Avery’s Slick Soho Loft (And Super-Luxe Wardrobe). If you’ve been a fan of Garance Dore as long as I have, you were thrilled to hear about her exciting collaboration with Kate Spade. Finally the details are out and Racked has the goods – Garance Dore Gets Sketchy for Kate Spade. Get inspired by plus-sized model & healthy body image advocate Danika Brysha’s MONDivation – Beating the Odds. Sometimes there are allergens that will affect your body even when you’re following a healthy lifestyle – Health-Food Ingredients You Might Want to Skip. Interested in tightening up specific parts of your body with your workouts? Check out Shape Magazine’s Top 10 NEW Exercises for Thighs or Prevention’s Arm Exercises: 3 At-Home Workouts to Tone Arms for some inspiration. If you’re interested in your personal health you’ve probably heard the phrase “healthy fats” but if you’re still interested in learning more or in getting some additional background on why these are necessary this is the article for you: Healthy Fat – Why You Need To Eat It! Both my parents and my brother have recently transitioned to a primarily paleo diet and needed some tips on how to get started and what they needed to stock their pantry and fridge with – 10 Healthy Items On The Paleo Diet Shopping List.